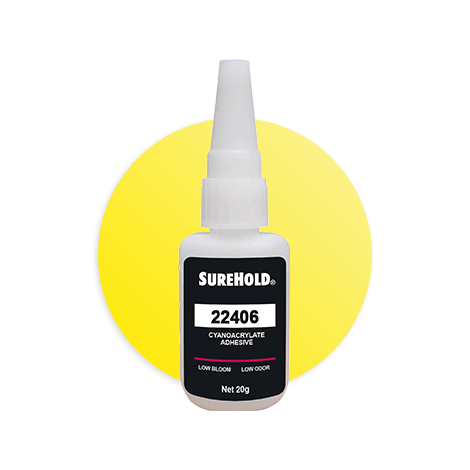 22406 Super Glue is a very fast setting, low viscosity, low odor, low blooming, surface insensitive instant adhesive. As a room temperature curing adhesive, it is particularly suitable for applications where vapor control is difficult. It is designed for OEM assembly of a wide range of materials including, metals, plastics, elastomers, wood, leather, etc.